A whole generation has joined the ranks of buyers and operators in a marketplace where they now have many rules about safety, but few about pricing for services—and don’t forget that pricing regulation extended to rail, air, ocean and motor carriers way back when. All these modes have been disrupted in the past four decades, some faster than others. This system was supported by transportation management software that required loading static rate tables for look up in order to price transactions. To keep these tables simple, formulas were developed with assumed averages for many rate factors critical to carrier profitability such as weight, density, value, risk and handling requirements. As an example, most rate tables have been based upon three- to five-digit zip code parings. Distances in rate tables are averages and not reflective of actual costs to serve a particular shipper and consignee at the geographic edges of zip code areas. We compensate for this by adding accessorials for everything from fuel to traffic to residential neighborhoods. 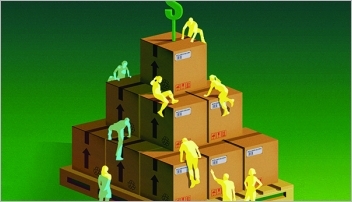 In the name of simplicity in pricing and auditing, the regulated class-based system created in the 1930s was kept as a format for LTL pricing into the 21st century. That’s finally changing. 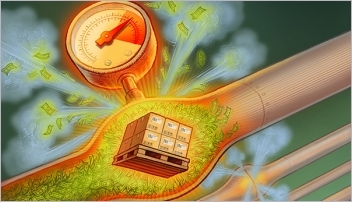 A wave of “density-based” rate tables became popular in the past few years, but the software in carrier and shipper systems still needed averages and simple tables. Only slightly more flexible than legacy pricing models, these density-based pricing models are but an interim step. 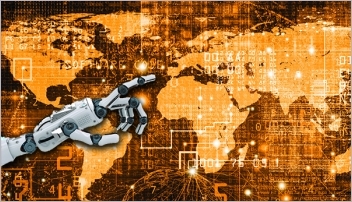 New technology is overtaking the rigid interaction between shippers and carriers, with robust machine-to-machine interaction making split second decisions concerning the best way to route a package. 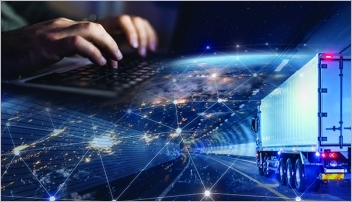 These new transportation management systems (TMS) are capable of weighing as many as 27 factors in LTL shipping that can make an impact on cost and recommendations for action. Optimization today is less about picking a carrier and more about how to help a collaborative carrierpartner save on operating costs and splitting those savings with the shipper. To aid in decision-making and strategic planning, data-rich transaction records are now modeled by shippers, carriers and transport intermediaries to help shape sales efforts for carriers and network optimization initiatives for shippers. Intermediaries that manage multiple accounts can aggregate data to inform all parties about trends, alternative routes and even alternative modal selections such as dedicated carriage and the use of ondemand markets (think Uber, etc.). This analysis of the new phase in deregulation of the LTL market may seem a bit visionary, but conversations with shippers and carriers indicate the urgent need for creative solutions that will help mitigate a capacity constrained LTL market. Rather than beat up your vendor or simply pass through costs, I suggest that shippers and carriers should partner and invest in collaborative systems and methods that yield improved cost and service.